This flower, Gaillardia pulchella, goes by many common names. 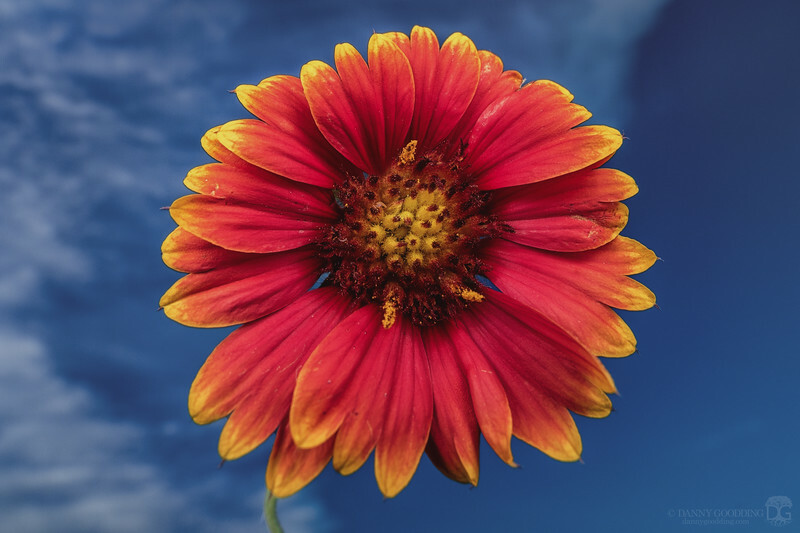 Indian blanket flower is the name I've encountered the most around here in central Florida. Whatever you want to call it, it's a gorgeous flower that never fails to catch my eye! I was hoping to get sunset colors in the background here, but the storm in the distance had other plans.